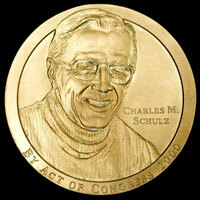 For other people with the same name, see Charles Schultz (disambiguation). Charles Monroe "Sparky" Schulz ( /ʃʊlts/ ; November 26, 1922 – February 12, 2000),  was an American cartoonist and creator of the comic strip Peanuts (which featured the characters Charlie Brown and Snoopy, among others). He is widely regarded as one of the most influential cartoonists of all time, cited by cartoonists including Jim Davis, Bill Watterson, Matt Groening, and Stephan Pastis. Charlie Brown is the lead role of the comic strip Peanuts, syndicated in daily and Sunday newspapers in numerous countries all over the world. Depicted as a "lovable loser," Charlie Brown is one of the great American archetypes and a popular and widely recognized cartoon character. Charlie Brown is characterized as a person who frequently suffers, and as a result is usually nervous and lacks self-confidence. He shows both pessimistic and optimistic attitudes: on some days, he is reluctant to go out because his day might just be spoiled, but on others, he hopes for the best and tries as much as he can to accomplish things. He is easily recognized by his trademark zigzag patterned shirt. There is only one exception: whenever he's a costumed character, he wears a red baseball cap on top of his head most of the time, rather than just wearing a white one during baseball seasons in comic strips and animation. LeRoy Robert Ripley was an American cartoonist, entrepreneur, and amateur anthropologist who is known for creating the Ripley's Believe It or Not! newspaper panel series, radio show, and television show which feature odd facts from around the world. Central High School of Saint Paul is the oldest high school in the state of Minnesota, United States. 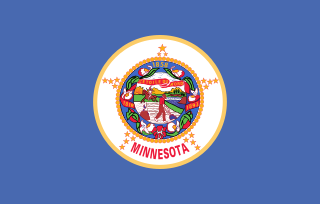 Founded in 1866 in downtown Saint Paul, Central has educated many leaders in business, government, literature, arts, sciences, and education throughout the state of Minnesota and the United States. Central also has more Rhodes Scholars among its alumni than any other public high school in the U.S., with the most recent scholar, Matthew Landreman, being announced in 2003. In late 1945, Schulz returned to Minneapolis. He did lettering for a Roman Catholic comic magazine, Timeless Topix, and then, in July 1946, took a job at Art Instruction, Inc., reviewing and grading lessons submitted by students. :164 Schulz had taken a correspondence course from the school before he was drafted. He worked at the school for several years while developing his career as a comic creator until he was making enough money to do that full-time. Schulz's first group of regular cartoons, a weekly series of one-panel jokes called Li'l Folks , was published from June 1947 to January 1950 in the St. Paul Pioneer Press, with Schulz usually doing four one-panel drawings per issue. It was in Li'l Folks that Schulz first used the name Charlie Brown for a character, although he applied the name in four gags to three different boys as well as one buried in sand. The series also had a dog that looked much like Snoopy. In May 1948, Schulz sold his first one-panel drawing to The Saturday Evening Post ; within the next two years, a total of 17 untitled drawings by Schulz were published in the Post,  simultaneously with his work for the Pioneer Press. Around the same time, he tried to have Li'l Folks syndicated through the Newspaper Enterprise Association; Schulz would have been an independent contractor for the syndicate, unheard of in the 1940s, but the deal fell through. Li'l Folks was dropped from the Pioneer Press in January 1950. Later that year, Schulz approached United Feature Syndicate with the one-panel series Li'l Folks, and the syndicate became interested. By that time Schulz had also developed a comic strip, usually using four panels rather than one, and to Schulz's delight, the syndicate preferred that version. Peanuts made its first appearance on October 2, 1950, in seven newspapers. The weekly Sunday page debuted on January 6, 1952. After a slow start, Peanuts eventually became one of the most popular comic strips of all time, as well as one of the most influential. Schulz also had a short-lived sports-oriented comic strip, It's Only a Game (1957–59), but he abandoned it after the success of Peanuts. From 1956 to 1965 he contributed a single-panel strip, "Young Pillars", featuring teenagers, to Youth, a publication associated with the Church of God. At its height, Peanuts was published daily in 2,600 papers in 75 countries, in 21 languages. Over the nearly 50 years that Peanuts was published, Schulz drew nearly 18,000 strips. The strips, plus merchandise and product endorsements, produced revenues of more than $1 billion per year, with Schulz earning an estimated $30 million to $40 million annually. During the strip's run, Schulz took only one vacation, a five-week break in late 1997 to celebrate his 75th birthday; reruns of the strip ran during his vacation, the only time that occurred during Schulz's life. The first collection of Peanuts strips was published in July 1952 by Rinehart & Company. Many more books followed, greatly contributing to the strip's increasing popularity. In 2004, Fantagraphics began their Complete Peanuts series. Peanuts also proved popular in other media; the first animated TV special, A Charlie Brown Christmas, aired in December 1965 and won an Emmy award. Numerous TV specials followed, the latest being Happiness is a Warm Blanket, Charlie Brown in 2011. Until his death, Schulz wrote or co-wrote the TV specials and carefully oversaw their production. Like Charlie Brown's parents, Schulz's father was a barber and his mother a housewife. Schulz reportedly had an intelligent dog when he was a boy. Although this dog was a pointer, not a beagle like Snoopy, family photos confirm a certain physical resemblance. 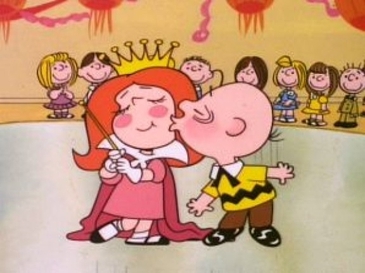 Schulz's inspiration for Charlie Brown's unrequited love for the Little Red-Haired Girl was Donna Mae Johnson, an Art Instruction Inc. accountant with whom he fell in love. When Schulz finally proposed to her in June 1950, shortly after he had made his first contract with his syndicate, she turned him down and married another man. Schulz and his family returned to Minneapolis and stayed until 1958. They then moved to Sebastopol, California, where Schulz built his first studio. (Until then, he'd worked at home or in a small rented office room.) It was there that Schulz was interviewed for the unaired television documentary A Boy Named Charlie Brown . Some of the footage was eventually used in a later documentary, Charlie Brown and Charles Schulz . Schulz's father died while visiting him in 1966, the same year Schulz's Sebastopol studio burned down. By 1969, Schulz had moved to Santa Rosa, California, where he lived and worked until his death. While briefly living in Colorado Springs, Schulz painted a mural on the bedroom wall of his daughter Meredith, featuring Patty with a balloon, Charlie Brown jumping over a candlestick, and Snoopy playing on all fours. The wall was removed in 2001, donated and relocated to the Charles M. Schulz Museum in Santa Rosa. By Thanksgiving 1970, it was clear that Schulz's marriage was in trouble. He was having an affair with a 25-year-old woman named Tracey Claudius. The Schulzes divorced in 1972, and in September 1973 he married Jean Forsyth Clyde, whom he had first met when she brought her daughter to his hockey rink. They were married for 27 years, until Schulz's death in 2000. Charles M. Schulz Highland Arena on Snelling Avenue and Ford Parkway in Saint Paul, Minnesota. Schulz had a long association with ice sports, and both figure skating and ice hockey featured prominently in his cartoons. In Santa Rosa, he owned the Redwood Empire Ice Arena, which opened in 1969 and featured a snack bar called "The Warm Puppy". Schulz's daughter Amy served as a model for the figure skating in the television special She's a Good Skate, Charlie Brown (1980). Schulz also was very active in senior ice-hockey tournaments; in 1975, he formed Snoopy's Senior World Hockey Tournament at his Redwood Empire Ice Arena, and in 1981, he was awarded the Lester Patrick Trophy for outstanding service to the sport of hockey in the United States. Schulz also enjoyed golf and was a member of the Santa Rosa Golf and Country Club from 1959 to 2000. In July 1981, Schulz underwent heart bypass surgery. During his hospital stay, President Ronald Reagan phoned to wish him a quick recovery. In the 1980s, Schulz complained that "sometimes my hand shakes so much I have to hold my wrist to draw." This led to an erroneous impression that Schulz had Parkinson's disease. According to a letter from his physician, placed in the Archives of the Charles M. Schulz Museum by his widow, Schulz had essential tremor, a condition alleviated by beta blockers. Schulz still insisted on writing and drawing the strip by himself, resulting in noticeably shakier lines over time. As part of his contract with the syndicate, Schulz requested that no other artist be allowed to draw Peanuts. United Features had legal ownership of the strip, but honored his wishes, instead syndicating reruns to newspapers. New television specials have also been produced since Schulz's death, with the stories based on previous strips; Schulz always said the TV shows were entirely separate from the strip. A proponent of manned space flight, Schulz was honored with the naming of Apollo 10 command module Charlie Brown, and lunar module Snoopy launched on May 18, 1969. The Silver Snoopy award is a special honor awarded to NASA employees and contractors for outstanding achievements related to human flight safety or mission success. The award certificate states that it is "In Appreciation" "For professionalism, dedication and outstanding support that greatly enhanced space flight safety and mission success." On January 1, 1974, Schulz served as the Grand Marshal of the Rose Parade in Pasadena, California. Multiple biographies have been written about Schulz, including Rheta Grimsley Johnson's Good Grief: The Story of Charles M. Schulz (1989), which Schulz authorized. The lengthiest biography, Schulz and Peanuts: A Biography (2007) by David Michaelis, has been heavily criticized by the Schulz family; Schulz's son Monte stated it has "a number of factual errors throughout ... [including] factual errors of interpretation" and extensively documents these errors in a number of essays. However, Michaelis maintains that there is "no question" his work is accurate. Although cartoonist Bill Watterson (creator of Calvin and Hobbes ) feels the biography does justice to Schulz's legacy, while giving insight into the emotional impetus of the creation of the strips, cartoonist and critic R.C. Harvey regards the book as falling short both in describing Schulz as a cartoonist and in fulfilling Michaelis' stated aim of "understanding how Charles Schulz knew the world"; Harvey feels the biography bends the facts to a thesis rather than evoking a thesis from the facts. Dan Shanahan's review, in the American Book Review (vol 29, no. 6), of Michaelis' biography faults the biography not for factual errors, but for "a predisposition" to finding problems in Schulz's life to explain his art, regardless of how little the material lends itself to Michaelis' interpretations. Shanahan cites, in particular, such things as Michaelis' crude characterizations of Schulz's mother's family, and "an almost voyeuristic quality" to the hundred pages devoted to the breakup of Schulz's first marriage. The Jean and Charles Schulz Information Center at Sonoma State University opened in 2000 and now stands as one of the largest buildings in the CSU system and the State of California, with a 400,000-volume general collection and with a 750,000-volume automated retrieval system capacity. The $41.5 million building was named after Schulz and his wife donated $5 million needed to build and furnish the structure. In 2000, the Sonoma County Board of Supervisors renamed the county airport as the Charles M. Schulz - Sonoma County Airport in the cartoonist's honor. The airport's logo features Snoopy in goggles and scarf, taking to the skies on top of his red doghouse. Peanuts on Parade has been St. Paul, Minnesota's tribute to its favorite native cartoonist. It began in 2000 with the placing of 101 5-foot-tall (1.5 m) statues of Snoopy throughout the city of St. Paul. Every summer for the following four years, statues of a different Peanuts character were placed on the sidewalks of St. Paul. In 2001, there was Charlie Brown Around Town, 2002 brought Looking for Lucy, in 2003 along came Linus Blankets St. Paul, ending in 2004 with Snoopy lying on his doghouse. The statues were auctioned off at the end of each summer, so some remain around the city, but others have been relocated. The auction proceeds were used for artist's scholarships and for permanent, bronze statues of the Peanuts characters. These bronze statues are in Landmark Plaza and Rice Park in downtown St. Paul. The Charles M. Schulz Museum and Research Center in Santa Rosa opened on August 17, 2002, two blocks away from his former studio, celebrating his life's work and the art of cartooning. A bronze statue of Charlie Brown and Snoopy stands in Depot Park in downtown Santa Rosa. Santa Rosa, California, celebrated the 60th anniversary of the strip in 2005 by continuing the Peanuts on Parade tradition beginning with It's Your Town Charlie Brown (2005), Summer of Woodstock (2006), Snoopy's Joe Cool Summer (2007), and Look Out For Lucy (2008). Reared in a nominally Lutheran family, Schulz had been active in the Church of God (Anderson, Indiana) as a young adult and later taught Sunday school at a United Methodist Church. In the 1960s, Robert L. Short interpreted certain themes and conversations in Peanuts as consistent with parts of Christian theology, and used them as illustrations in his lectures on the Gospel, as explained in his book The Gospel According to Peanuts , the first of several he wrote on religion, Peanuts, and other popular culture. I think that he was a deeply thoughtful and spiritual man. Sparky was not the sort of person who would say "oh that's God's will" or "God will take care of it." I think to him that was an easy statement, and he thought that God was much more complicated. When he came back from the army he was very lonely. His mother had died and he was invited to church by a pastor who had prepared his mother's service from the Church of God. Sparky's father was worried about him and was talking to the pastor and so the pastor invited Sparky to come to church. So Sparky went to church, joined the youth group and for a good 4–5 years he went to Bible study and went to church 3 times a week (2 Bible studies, 1 service). He said he had read the Bible through three times and taught Sunday school. He was always looking for what those passages REALLY Might have meant. Some of his discussions with priests and ministers were so interesting because he wanted to find out what these people (who he thought were more educated than he) thought. ↑ "Charles M Schulz". FamilySearch.com. United States Social Security Death Index. February 12, 2000. Retrieved March 4, 2013. 1 2 Boxer, Sarah (February 14, 2000). "Charles M. Schulz, 'Peanuts' Creator, Dies at 77". The New York Times . Retrieved October 1, 2008. ↑ Groth, Gary (July 2007). "Charles M. Schulz – 1922 to 2000". The Complete Peanuts 1965–1966. Fantagraphic Books. p. 322. ISBN 978-1-56097-724-7. ↑ Mendelson, Lee (1970). Charlie Brown & Charlie Schulz. The World Publishing Company. 1 2 "Oh boy, Charlie Brown". The Guardian. London. October 11, 2008. Retrieved April 28, 2010. ↑ "Peanuts on Parade". John Weeks. Retrieved November 20, 2017. ↑ "PBS Special: Good Ol' Charles Schulz". PBS American Masters. 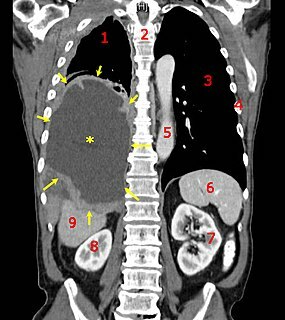 Retrieved October 29, 2007. 1 2 Michaelis, David (2008). Schulz and Peanuts: A Biography. Harper Collins. p. 561. ISBN 9780060937997. ↑ Kirt Blattenberger Airplanes and Rockets. "Saturday Evening Post "Li'l Folks" Comics by Charles Schulz". ↑ "Kids say the darndest things!". Worldcat. Retrieved October 7, 2011. ↑ "Kids still say the darndest things!". Worldcat. Retrieved October 7, 2011. ↑ "Dear President Johnson". Worldcat. Retrieved October 7, 2011. ↑ Kleon, Austin (October 17, 2007). "CHARLES SCHULZ ON CHARLIE ROSE". austinkleon.com. ↑ Johnson, Rheta Grimsley (1989). Good Grief: The Story of Charles M. Schulz. Andrews McMeel Publishing. pp. 30–36. ISBN 0-8362-8097-0. ↑ Kelleher, Carole (February 4, 2016). "Linus Maurer, 1926-2016". Sonoma Index-Tribune. Retrieved February 14, 2016. ↑ "Charlie Brown was the name of one of..." Chicago Tribune, March 26, 2000. ↑ "Charles M. Schulz on Cartooning". Hogan's Alley. Retrieved June 19, 2015. ↑ Johnson (1989), p. 68. ↑ "Yahoo". Yahoo. Archived from the original on July 29, 2014. Retrieved June 19, 2015. ↑ "Schulz & Peanuts Time Line". Charles M. Schulz Museum. Archived from the original on January 21, 2009. Retrieved January 16, 2009. ↑ Inge, M. Thomas (2000). Charles M. Schulz: Conversations. University Press of Mississippi. p. 32. ISBN 1-57806-305-1. ↑ Charlie Brown and Charles Schulz (The original documentary on DVD ed.). Charles M. Schulz Museum. 1 2 3 "Good Ol' Charles Schulz". American Masters . October 29, 2007. PBS. ↑ Miller, Laura (October 8, 2007). "I only dread one day at a time!". Salon. Retrieved May 6, 2009. ↑ "Cartoonist's Home Invaded in Apparent Kidnap Attempt". San Jose Mercury News. May 13, 1988. ↑ "Good grief, it's a kidnap attempt". Toledo Blade. May 13, 1988. ↑ "Review of Schulz and Peanuts". The New York Times. ↑ "On This Day". The New York Times. 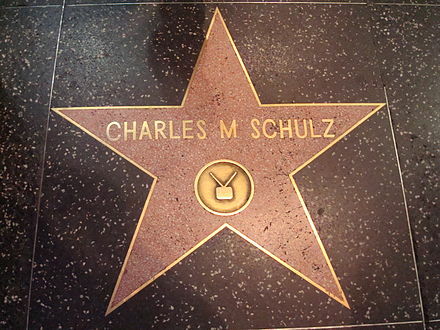 ↑ Schulz, Charles (December 1999). "Interview with Al Roker" (Interview). Interviewed by Al Roker. ↑ Boxer, Sarah (February 14, 2000). "Charles M. Schulz, 'Peanuts' Creator, Dies at 77". The New York Times. ↑ "Cartoonists pay tribute to Charles M. Schulz and Peanuts". ↑ Sulkis, Brian (February 11, 2005). "Cartoonist's characters spread a gentle message". San Francisco Chronicle. Retrieved November 11, 2008. ↑ Apple, Chris (January 5, 2002). "Resolutions for 2002". Sports Illustrated. Retrieved November 11, 2008. ↑ Whiting, Sam (December 15, 1999). "The Peanuts Gallery Is Closed". San Francisco Chronicle. Retrieved November 11, 2008. ↑ Truscott, Alan (July 10, 2000). "BRIDGE; Snoopy's Finest Card Game (Trump That, Red Baron!)". The New York Times. Retrieved July 16, 2016. ↑ "Who Plays Bridge". ACBL . Retrieved July 18, 2016. ↑ "Bill Summary & Status - 106th Congress (1999 - 2000) - H.R.3642 - All Information - THOMAS (Library of Congress)". loc.gov. Retrieved June 19, 2015. ↑ "106th Congress, 2nd session, House vote 19". The Washington Post. Retrieved April 28, 2010. ↑ "Bill Summary & Status - 106th Congress (1999 - 2000) - H.R.3642 - All Congressional Actions - THOMAS (Library of Congress)". loc.gov. Retrieved June 19, 2015. ↑ "Bill Text - 106th Congress (1999-2000) - THOMAS (Library of Congress)". loc.gov. Retrieved June 19, 2015. ↑ Rosewater, Amy (January 29, 2007). "Skating survived just fine without Kwan, Cohen". ESPN. Retrieved November 11, 2008. ↑ "Charles Schulz to be honored with new Harvey Award (We Read Comics Exclusive)". The Comics Multiverse. Retrieved June 19, 2015. ↑ "Your 2014 Harvey Awards Winners". The Comics Reporter, September 7, 2014. Retrieved August 9, 2015. ↑ Schulz, Monte (May 2008). "Regarding Schulz and Peanuts". The Comics Journal (290). pp. 27–78. ISSN 0194-7869. ↑ Schulz, Monte; Gary Groth (May 18, 2008). "The Comics Journal — The Schulz and Peanuts Roundtable (excerpts from TCJ #290)". The Comics Journal. Fantagraphics. Archived from the original on July 28, 2008. Retrieved July 28, 2008. ↑ Cohen, Patricia (October 8, 2007). "Biography of 'Peanuts' Creator Stirs Family". The New York Times. Retrieved October 8, 2007. ↑ Watterson, Bill (October 12, 2007). "The Grief That Made 'Peanuts' Good". The Wall Street Journal. Retrieved October 16, 2007. ↑ Harvey, R.C. (May 2008). "The Pagliacci Bit". The Comics Journal (290): 79–92. ISSN 0194-7869. ↑ Harvey, R.C. (May 2008). "Schulz Roundtable Round Two". The Comics Journal (290): 101–105. ISSN 0194-7869. Excerpt available: Harvey, R.C. (May 18, 2008). "The Comics Journal — Schulz Roundtable Round Two (excerpt from TCJ #290)". The Comics Journal . Fantagraphics. Archived from the original on July 28, 2008. Retrieved July 28, 2008. CS1 maint: BOT: original-url status unknown (link) on July 28, 2008. ↑ Amidi, Amid (October 13, 2007). "Cartoon Brew: Leading the Animation Conversation " More on the Schulz Book". Cartoon Brew . Archived from the original on September 15, 2008. Retrieved July 28, 2008. on July 28, 2008. ↑ Merritt, Christopher; Lynxwiler, J. Eric (2010). Knott's Preserved: From Boysenberry to Theme Park, the History of Knott's Berry Farm. Santa Monica, CA: Angel City Press. pp. 144–7. ISBN 978-1-883318-97-0. ↑ "Camp Snoopy Who? Nickelodeon runs the show now at Mall of America". Star Tribune. Retrieved 2018-12-22. ↑ "Charles M. Schulz". Forbes . October 20, 2006. Retrieved January 19, 2009. ↑ Miller, Matthew (October 27, 2009). "Top-Earning Dead Celebrities 2009". Forbes.com. ↑ Benoit, Tod (2003). Where are They Buried? How Did They Die? : Fitting Ends and Final Resting Places of the Famous, Infamous, and Noteworthy. Black Dog & Leventhal. ISBN 1-57912-287-6. ↑ Bill Watterson (October 13, 2007). "The Grief That Made 'Peanuts' Good". WSJ. Retrieved June 19, 2015. ↑ Templeton, David. My Lunch with Sparky, reproduced from the December 30, 1999 – January 5, 2000 issue of the Sonoma County Independent. Archived November 28, 2008. ↑ Johnson (1989), p. 137. ↑ "I'm Jean Schulz. My husband drew the PEANUTS comic strip for 50 years and I'm happy to talk with you and take your questions. : IAmA". reddit. Retrieved 19 June 2015. Stephan Thomas Pastis is an American cartoonist and the creator of the comic strip Pearls Before Swine. He also writes children's chapter books, commencing with the release of Timmy Failure: Mistakes Were Made all the way through the 7th book, Its the End When I Say Its the End., which debuted at #4 on The New York Times Best Seller list for Children's Middle Grade Books. Linus van Pelt is a character in Charles M. Schulz's comic strip Peanuts. The best friend of Charlie Brown, Linus is also the younger brother of Lucy van Pelt and older brother of Rerun van Pelt. He first appeared on September 19, 1952, but was not mentioned by name until three days later. He was first referred to two months earlier, on July 14. Linus spoke his first words in 1954, the same year he was first shown with his security blanket. Patricia "Peppermint Patty" Reichardt is a fictional character featured in Charles M. Schulz' comic strip Peanuts. She is one of a small group in the strip who lives across town from Charlie Brown and his school friends. She has freckles and auburn/brunette hair and generally displays the characteristics of a tomboy. She made her first appearance on August 22, 1966. The following year, she made her animated debut in the TV special You're in Love, Charlie Brown and began coaching a baseball team that played against Charlie Brown and since has had other adventures with him. Uniquely, she refers to Charlie Brown and Lucy as "Chuck" and "Lucille", respectively. In most of her appearances, she has a crush on Charlie Brown, based on her reactions. Rerun van Pelt is Linus' and Lucy's younger brother in Charles M. Schulz's comic strip Peanuts. He is named when Lucy van Pelt, his sister, calls the situation a 'rerun' of what happened with her brother, Linus van Pelt. Linus decides to name him that. Lucille "Lucy" van Pelt is a character in the syndicated comic strip Peanuts, written and drawn by Charles Schulz. She is the older sister of Linus and Rerun. 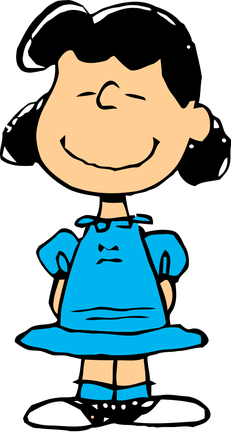 Lucy is characterized as a "fussbudget", crabby, bossy and opinionated girl who bullies most other characters in the strip, particularly Linus and Charlie Brown. Sally Brown is the younger sister of Charlie Brown in the comic strip Peanuts by Charles Schulz. She was first mentioned in early 1959 and throughout a long series of strips before her first appearance in August 1959. Kathy Steinberg was the first to voice Sally in 1965. Violet Gray is a fictional character featured in the long-running syndicated daily and Sunday comic strip Peanuts, created by Charles M. Schulz. She was initially a major character, until she began to fade into the background. Woodstock is a fictional character in Charles M. Schulz's comic strip Peanuts. Li'l Folks, the first comic strip by Peanuts creator Charles M. Schulz, was a weekly panel that appeared mainly in Schulz's hometown paper, the St. Paul Pioneer Press, from June 22, 1947, to January 22, 1950. Schulz's first regular cartoon, Li'l Folks can be regarded as an embryonic version of Peanuts, containing characters and themes which were to reappear in the later strip: a well-dressed young boy with a fondness for Beethoven, à la Schroeder; a dog with a resemblance to Snoopy; and a boy named Charlie Brown. The Little Red-Haired Girl is an unseen character in the Peanuts comic strip by Charles M. Schulz, who serves as the object of Charlie Brown's affection, and a symbol of unrequited love. While never seen in the strip, she appears onscreen in several television specials, in which her name has been revealed as Heather Wold. Charlie Brown most often notices her while eating lunch outdoors, always failing to muster the courage to speak to her. She figures prominently in Valentine's Day strips, several of which focus on Charlie Brown's hope of getting a valentine from her. Charlie Brown typically attempts to give her a valentine but panics at the last minute. In Charles M. Schulz's comic strip Peanuts, Snoopy was often stated to have seven siblings. Five appeared at various times in the strip: four brothers, Andy, Marbles, Olaf, and Spike; and one sister, Belle. The two others were never mentioned by name in the comic strip. According to the 1991 TV special Snoopy's Reunion, their names are Molly and Rover; however, their appearance is not considered canonical in the comic strip. In the June 6, 1959 comic strip, following the birth of Charlie Brown's sister Sally, Snoopy remarks that he has no brothers or sisters, and is an "only dog". However, in a March 18, 1970, strip, Snoopy writes in his autobiography: "I was born one bright Spring morning at the Daisy Hill Puppy Farm. I was one of seven puppies." The Complete Peanuts is a series of books containing the entire run of Charles M. Schulz's long-running newspaper comic strip Peanuts. The series was published at a rate of two volumes per year, each containing two years of strips. Slipcased sets of two volumes are also available. The series comprises a total of 26 volumes, including a bonus book with sketches, interviews, and other extra material. These hardcover books were first published between 2004–2016. Later Fantagraphics Books also began publishing the series in a softcover format. A companion series titled Peanuts Every Sunday, collecting only the Sunday strips of the Peanuts series, was launched by Fantagraphics in 2013 and is scheduled to run until 2022. The Charles M. Schulz Museum and Research Center is a museum dedicated to the works of Charles M. Schulz, creator of the Peanuts comic strip. The museum opened on August 17, 2002, and is in Santa Rosa, California. Linus Albert Maurer was an American cartoonist, illustrator and puzzle designer. He worked as the editorial cartoonist for the Sonoma Index-Tribune, a California newspaper, for more than 25 years. Maurer also authored and created several syndicated comic strips, including "Old Harrigan" during the 1960s and "Abracadabra" during the 1970s, which were published nationwide. Additionally, Maurer created and authored newspaper puzzles, including "Challenger," a number puzzle which was published by King Features Syndicate twenty times per month. Around the World in 45 Years. Kansas City: Andrews and McMeel/United Features Syndicate, 1994. Peanuts: A Golden Celebration: The Art and the Story of the World's Best-Loved Comic Strip Ed. David Larkin. New York: HarperCollins, 1999. Johnson, Rheta Grimsley (1989). Good Grief: The Story of Charles M. Schulz. New York: Pharos Books. ISBN 0-88687-553-6. Michaelis, David (2007). Schulz and Peanuts: A Biography. New York: Harper. ISBN 0-06-621393-2. Short, Robert L. The Gospel According to Peanuts Richmond, VA: John Knox Press, 1964.